My name is Emidio “Mimi” Soltysik, and I am declaring my intent for run for California’s 62nd State Assembly District (Del Aire, El Segundo, Gardena, Hawthorne, Inglewood, Lawndale, Lennox, Venice, Westchester, Marina del Rey, West Athens, Westmont) in 2014. A few quick things I need to share about myself. 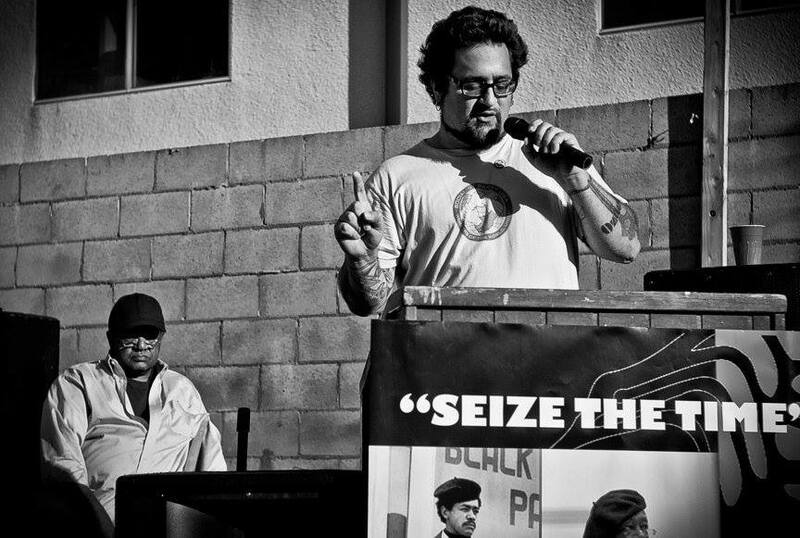 I am the Male Vice-Chair of the Socialist Party USA and am the State Chair of the Party in California. I love my family, my cats, my comrades, and loud music. I also like to laugh. A lot. I’ll be honest with you – I have quite a few tattoos, and I refuse to hide who I am and where I stand. I will be approaching this campaign perhaps a bit differently than what you might be used to. I want to make abundantly clear that this is NOT a campaign about me. This is a campaign that will focus on educating the public about socialism and how the working class in my district, my city, my state, and my country would benefit by a radical departure from capitalism to socialism. Perhaps you have reservations about supporting a socialist campaign, as many do. Our current condition is telling us that NOW is the time to learn what socialism means and to make positive steps toward a socialist future. We are experiencing an environmental collapse. Those who choose higher education are being saddled with crippling debt only to find they will enter a job market with little to no opportunity. Our public transit is laughable. We are making enemies throughout the world at an alarming rate as we, the taxpayer, finance the killing of innocent families in this so-called “War on Terror”. Each of these conditions has capitalism at its core, and throughout the campaign, you will learn why and you will learn how socialism can get us on the track toward a future worthy of optimism. You will be hearing from members of the Socialist Party of California throughout the campaign as well as from the working class of my district. Their voices are the voices that will drive this campaign. They work, they learn, they struggle, they are YOU.